William (Bill) Nesmith, fire chief with Hillsborough County Fire Rescue, recently retired after 41 years of fire service. 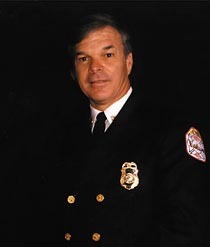 Nesmith, 62, joined Hillsborough County Fire Rescue as Assistant Chief in 1994 and was promoted to Fire Chief in 1996. Prior to that, he was with Tampa Fire Rescue for 24 years and retired as a Division Chief in 1994. “Over the 41 years of fire service, I have found a second family and the friendships will last forever. I will cherish the time I spent in the fire service,” Nesmith said. Under Nesmith’s leadership, Hillsborough County Fire Department and Hillsborough County Emergency Medical Services were merged and became Hillsborough County Fire Rescue. After the merger, Nesmith oversaw Hillsborough County Fire Rescue’s growth from 400 to more than 850 career firefighters and 175 volunteers. He was instrumental in opening eight new fire stations (from 34 stations to 42), procuring state-of-the-art apparatus and equipment and staffing all engines and ladders with paramedics who provide the highest level of pre-hospital care in the nation during his 17 years of service with the county. Nesmith achieved many endeavors during his career. He graduated from the Executive Fire Officers program at the National Fire Academy, is a Certified Emergency Manager, Paramedic, and Chief Fire Officer designee. Additionally, he served on many boards and committees, including chairman of the International Association of Fire Chiefs (IAFC) Transportation Emergency Rescue Committee; president of the Florida Fire Chiefs’ Association; and member of the Florida West Central Region Board of Directors. Nesmith won the 1997 Harvey Grant Excellence in Rescue Award presented by the IAFC, the 1998 Hillsborough County Excellence in Government Award, and in 2010, was awarded the Distinguished Service Award by the Hillsborough County Volunteer Services Association. He has also served as an instructor of basic firefighter certification and management level courses at Hillsborough Community College. Administration Chief Ron Rogers will serve as interim chief while a nationwide search is conducted for Nesmith’s replacement.